As I mentioned in previous posts, I went on 9-day tour through Colombia with Intrepid Travel. If you want some travel inspiration, check out some of my favorite photos from Colombia. 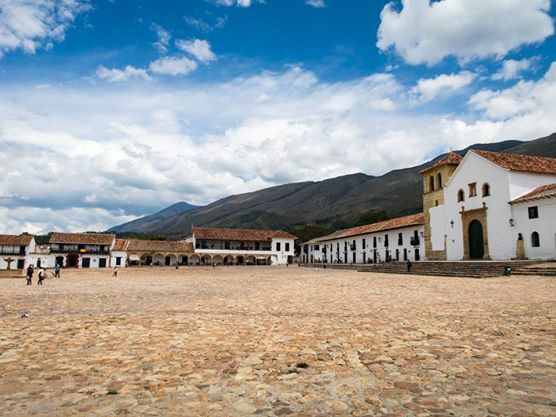 This tour is actually the second part of a 15-day Colombia tour called Complete Colombia. The first part of the tour starts in Bogota and ends in Cartagena. My portion of the tour started in Cartagena and ended in Bogota. Some of my fellow travelers joined the full 15-day tour and had great things to say about it. If you can swing the time off, I highly recommend it. Near the Cartagena’s seawall at sunset. The itinerary is a wonderful mix of colonial cities, tropical jungles, beautiful beaches and rural mountain towns. You’ll only be in Bogota for a small portion of the last day so I recommend booking extra days to explore more of the city if you can. I left the next morning and didn’t really get to see much of Bogota. *Note about Santa Marta: The itinerary mentions two days are spent in Santa Marta, which is a large city. This isn’t really accurate. You’ll spend two days relaxing at a place called Posada Villa Margarita, on the outskirts of Santa Marta and close to Tayrona National Park. 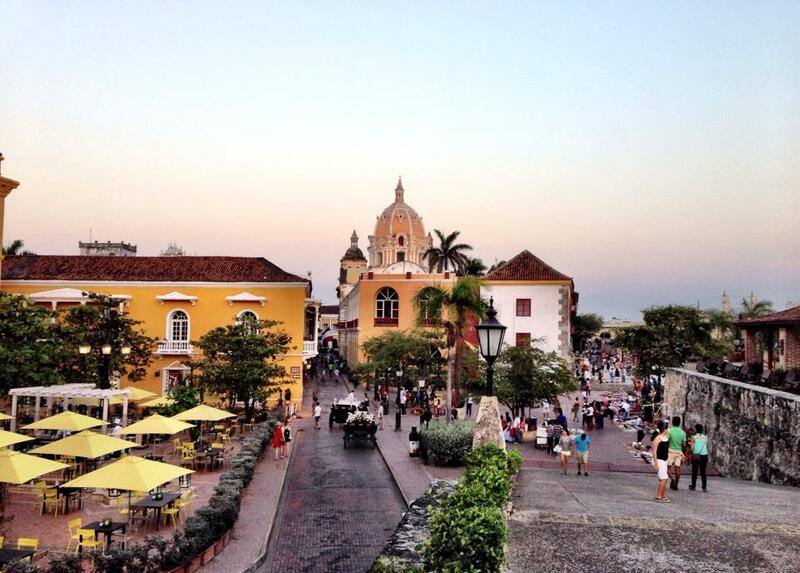 Colonial Colombia is an Original-style tour, which is Intrepid’s classic style. The trips come with some included activities and stay at more hotels than Basix trips. Other Intrepid styles include Basix, which is for travelers on a budget. These trips don’t have a lot of inclusions and the accommodation is very basic. The other style is Comfort, which offer more inclusions, nicer accommodation and more private transportation options. The accommodation on Original trips is usually 2 or 3-star tourist class accommodations. Most of the accommodations are family-run establishments and are clean. There were 12 of us on the tour, ranging in age from early 20s to 70+. My tour mates came from all over the world: Canada, U.S., U.K., Belgium, Switzerland and the Netherlands. Since this tour was split into two tours, 6 people departed the first half, 6 remained and 6 of us joined Colonial Colombia. One odd thing about this particular tour was that the last day of the first portion of the tour and the first day of Colonial Colombia overlapped, making it a challenging day for our tour leader. It was also a little awkward having a goodbye and welcome dinner at the same time. Everyone got along well on the tour, despite the fact that we had a Canadian who didn’t like Americans. There’s typically one interesting person on every tour. If you’re joining the tour on your own, Intrepid will pair you with a roommate of the same gender. You also have the option of paying a single supplement, which I chose to do on this tour since it was so inexpensive. Forget what you think you know about tour leaders: A man or woman holding an umbrella, leading a group of 50+ tourists in and out of attractions. With Intrepid, tour leaders are in charge of all the trip logistics and making sure the trip runs smoothly. The tour leader will likely hire local guides at tourist sites so that they can properly give you the history and background. 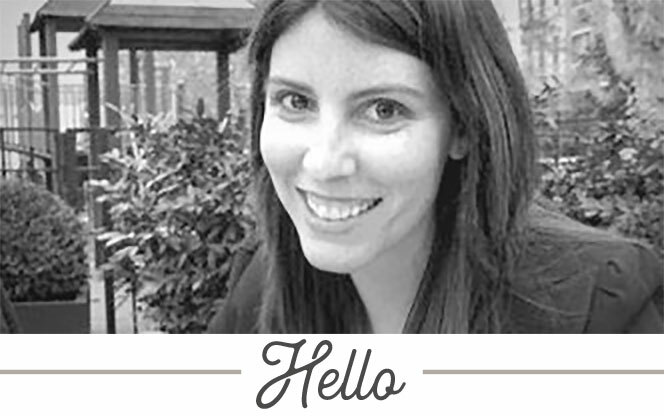 Tour leaders are very helpful with restaurant suggestions, activity ideas and more. They’re also willing to help out if something goes wrong. As I mentioned in a previous post, my luggage and delayed and had it not arrived, my tour leader was going to help me figure out how to track it down. On this particular trip, our tour leader was Ana, from Bogota and she’s very intelligent, bubbly and patient. Highly recommend her! The transportation on Intrepid trips widely varies depending on the style of tour you choose and the country you’re visiting. In the case of the Colonial Colombia trip, we took a nice private bus from Cartagena to Villa Margarita, outside of Santa Marta. While at Villa Margarita, we walked to a nearby beach across the road. 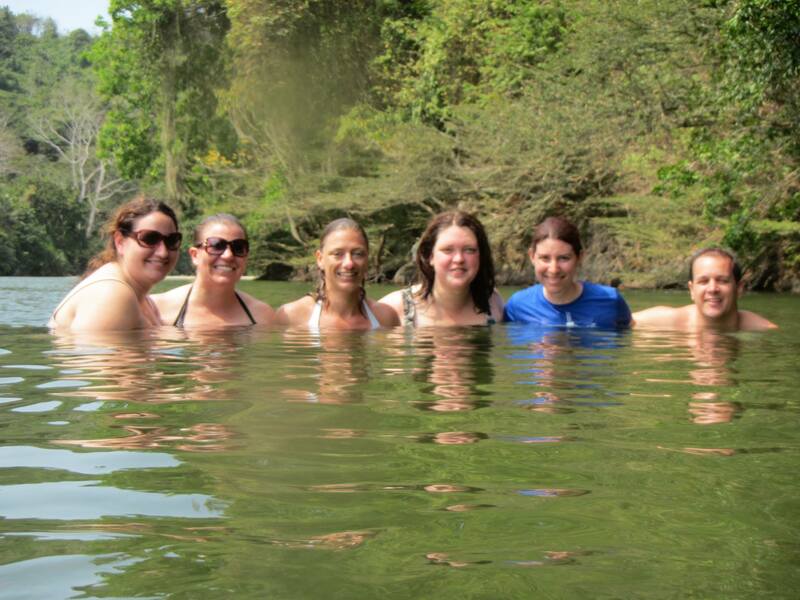 When we went river tubing, we paid for a local bus to make the trip. We hired a bus to drive us from Villa Margarita to Tayrona National Park. From there, we hiked a couple of hours, sometimes up and down boulders to get to our hammocks for the evening. Don’t worry, most of our luggage was safely stowed elsewhere. We didn’t have to carry it. Once we left Tayrona National Park, we had a very long travel, which should’ve been split into two days. We hired another private bus to drive to the Santa Marta airport; we flew on Avianca to Bogota. From Bogota, we took another private bus to Villa de Levya, which took close to 5 hours. On the return to Bogota, we hired a private bus, even though our itinerary called for a local bus. If we had taken a local bus, we would’ve needed to depart Villa de Levya at 5 am. The tour included an orientation walk in Cartagena, the hike in Tayrona National Park, a visit to the Salt Cathedral and a walking tour in Bogota. A few of us in the group paid extra for some additional activities, such as a visit to the Rosario Islands, river tubing near Tayrona National Park, and some visits to local museums. Breakfast was included every morning at the hotel. The group often ate together for lunch and dinner, although this certainly wasn’t a requirement. There were a couple of nights I decided to eat with one or two people instead of the entire group. River tubing near Tayrona National Park. Yes, that’s what you think it is. A beach near Tayrona National Park. We had it all to ourselves. A beach in Tayrona National Park. The huge square in Villa de Levya. As I mentioned earlier, Intrepid typically uses 2/3 star tourist-class, locally-owned hotels and pensions. You won’t stay in a hostel but you won’t stay in luxury accommodations either. My favorite hotel was probably Posada Villa Margarita. Even though the rooms were fairly basic, with bunk beds and a shared shower, the location was fabulous and the owners were very friendly and welcoming. If you go on this specific tour, make sure to bring ear plugs to Tayrona National Park, especially if you’re a light sleeper. I forgot mine and listened to the sound of snoring for most of the night. For most Intrepid trips, I recommend bringing a backpack or duffle bag, such as this Maxpedition Doppelduffel. The Maxpedtion bag I just mentioned is practically indestructible and has backpack straps that can easily tuck away when you have to check your flight. I’m obsessed with luggage and this is the best bag I’ve ever used for this type of traveling. On this particular Intrepid trip, some of my fellow travelers brought along standard wheeled luggage and it was fine. You may have to carry your bag up multiple flights of stairs so don’t pack too heavy. You’ll also need to pay close attention to Avianca’s internal flight weight limits. 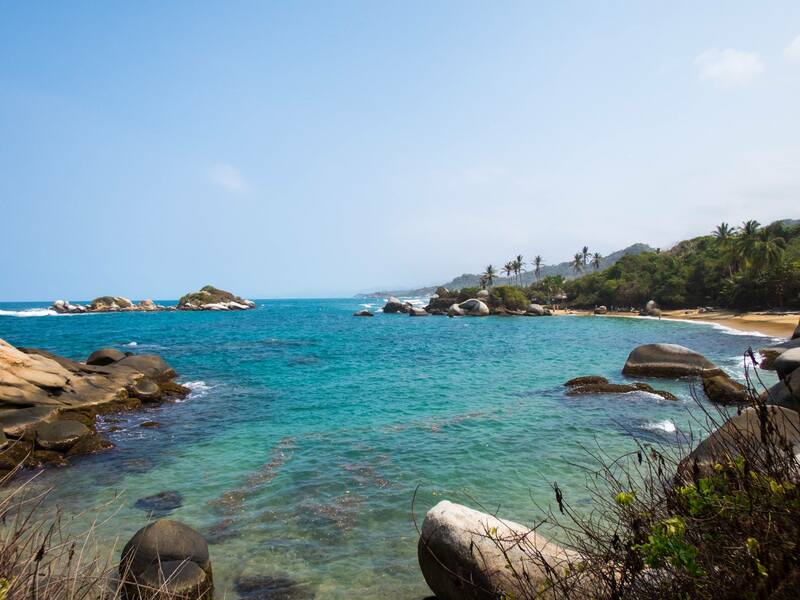 You’ll also want to bring along a daypack which you’ll use for daily sightseeing and to carry your overnight necessities into Tayrona National Park. Travel insurance: Intrepid requires you to purchase travel insurance. Check out insuremytrip.com to get quotes. Bug spray: Some of my tour mates were practically eaten alive by bugs. Ear plugs and eye mask: You’ll need them in Tayrona. Spanish translation book or app: I recommend this Lonely Planet Latin American Spanish phrasebook if you’re not fluent. Medications: If you’re prone to motion sickness, bring medication with you. Many of the roads in Colombia are windy and I felt sick a few times. I also suggest bringing pain medication and Imodium as part of your medication kit. Shoes: Bring comfortable walking shoes for hiking in Tayrona (full hiking boots aren’t necessary) as well as comfortable sandals and flip-flops for the beach. Sleep sheet or sleeping bag liner: You’ll need this for your night in Tayrona National Park, along with a travel pillow. I used this CoolMax travel sheet, which worked well. It gets a little chilly at night in Tayrona but I was warm enough. Travel towel: You’ll need one for the beach. I forgot mine and had to borrow someone else’s extra towel. 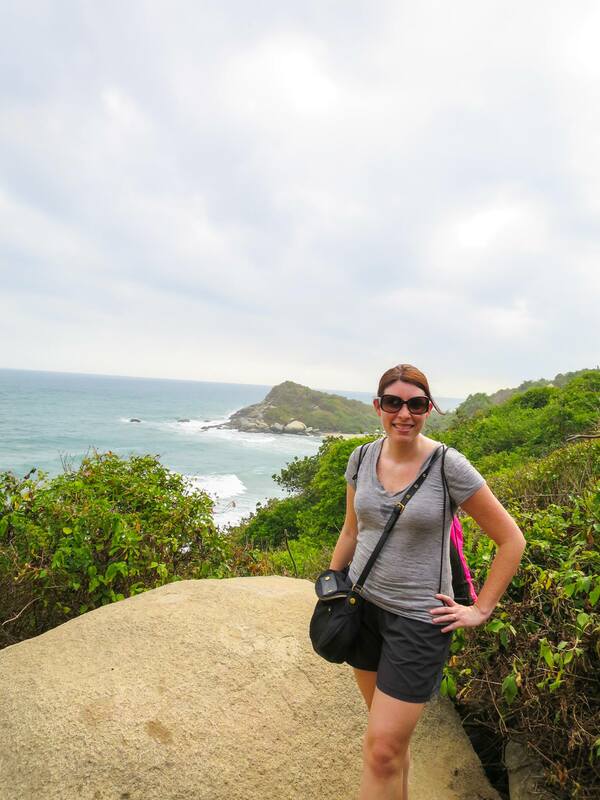 Flashlight or headlamp: I suggest using a headlamp but at the very minimum, you’ll need a flashlight in Tayrona. Electrical adapter: If you travel a lot, I recommend this Kensington International adapter, which has outlets for the U.S., Australia/China, U.K., and Europe. Clothing: On this trip, you’ll be visiting two areas with very different climates: hot/humid and cool/rainy. 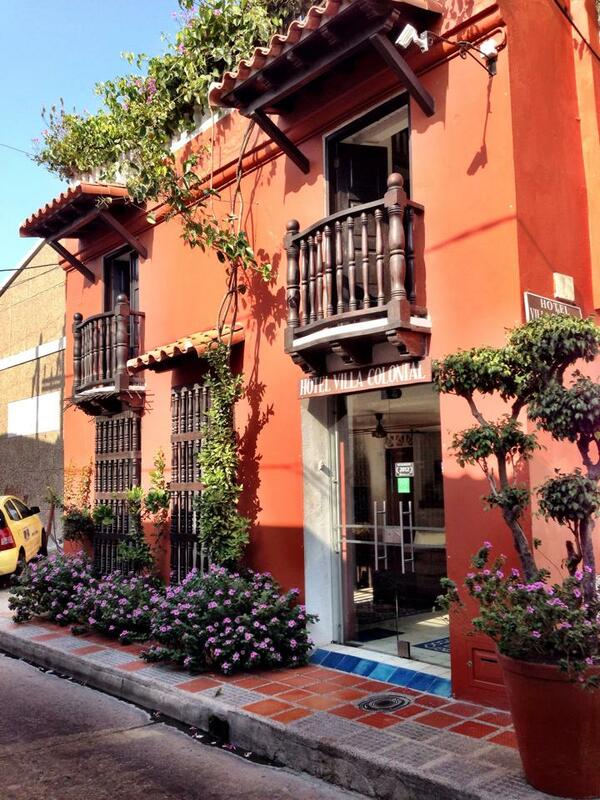 You’ll want to wear lightweight skirts/dresses in Cartagena. 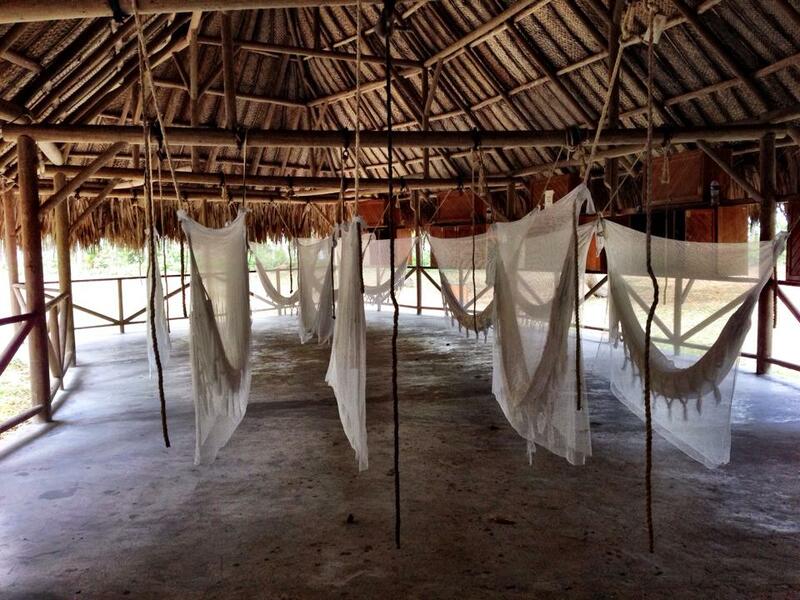 In Tayrona, wear clothing that you’re ok getting dirty and sweaty. Don’t forget your swimsuit and your cover-up. In Villa de Levya and Bogota, the weather can change frequently. Dress in layers and make sure you carry a rain jacket. I highly recommend this tour; Colombia is a gorgeous country with incredibly friendly people. Opt for the 15-day tour if you have enough vacation time. Thank you so much for this super informative information! I was wondering about bringing a suitcase as the trip notes of ‘you may have to walk for 30 minutes’ seemed to be a generic statement Intrepid pop on every tour. Looking forward to going on this tour in July! Thanks again. You can definitely bring a suitcase. We had a few people with gigantic suitcases and this definitely isn’t one of the trips you have to walk for any length of time with your luggage. In fact, most hotels had staff that helped people carry their luggage up the stairs. Let me know if you have any other questions. I loved this tour! Thank you so so much Rebecca! I really appreciate it! Hello! Me again! 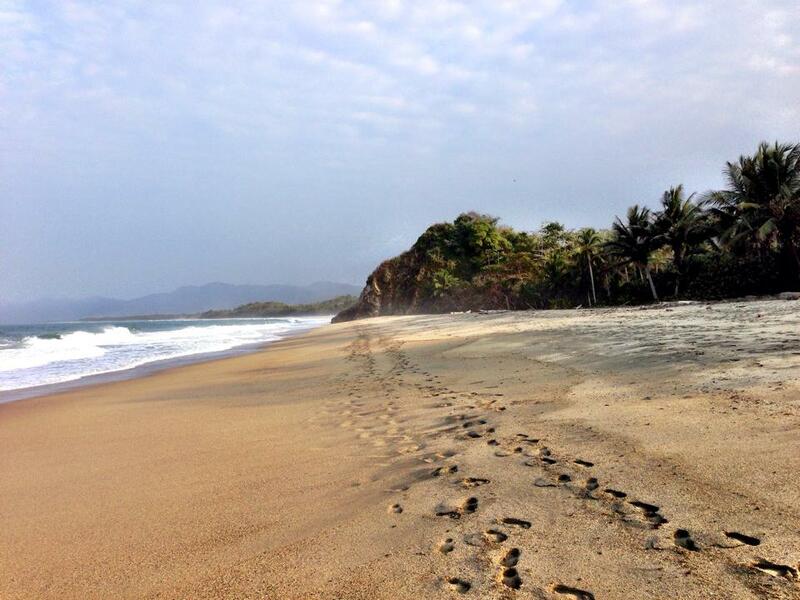 Just a quick question as well – did you get a chance to go to the Cabo San Juan beach while you were in Tayrona? Thank you so much in advance! No, didn’t go to Cabo San Juan mainly because I saw the first pretty, swimmable beach and decided not to move. You’re going to love Tayrona!